Trump to Australian PM on taking in refugees: "This is going to kill me"
President Trump's leaked January call with Australian Prime Minister Malcolm Turnbull reveals a brand-new president preoccupied with his image, angry over his predecessor's deal to take in refugees and impatient with a foreign ally. The Washington Post obtained a transcript of a January 28 call Mr. Trump shared with Turnbull, only days after taking office, in which Mr. Trump feared he would look "foolish" and "terrible" for sticking with an agreement Turnbull and former President Barack Obama made to vet and take in hundreds of refugees Australia had rejected. The call came the same day Mr. Trump's administration issued the first ban on travel from heavily Muslim countries, and Mr. Trump -- fresh off a campaign that pledged to be tough on immigration -- feared taking in the refugees Australia had been kept in detention centers in Pacific islands would be a bad way to start out his presidency. "Malcom [sic], why is this so important?" Mr. Trump asked his Australian counterpart. "I do not understand. This is going to kill me. I am the world's greatest person that does not want to let people into the country. And now I am agreeing to take 2,000 people and I agree I can vet them, but that puts me in a bad position. It makes me look so bad and I have only been here a week." Turnbull explained that the refugees from the Middle East, Africa and Asia came to Australia by boat without going through the immigration process, meaning they were rejected and placed on Manus Island and Nauru. Obama had struck a deal with Australia to take up to about 1,300 of them. "Look, I do not know how you got them to sign a deal like this, but that is how they lost the election. They said I had no way to 270 and I got 306," Mr. Trump said, referencing his electoral college win. "That is why they lost the election, because of stupid deals like this. You have brokered many a stupid deal in business and I respect you, but I guarantee that you broke many a stupid deal. This is a stupid deal. This deal will make me look terrible." The president also complained that the U.S. is treated like a "dumping ground" for the rest of the world. "Give them to the United States," Mr. Trump said later. "We are like a dumping ground for the rest of the world. I have been here for a period of time, I just want this to stop. I look so foolish doing this. It [sic] know it is good for you but it is bad for me. It is horrible for me. This is what I am trying to stop. I do not want to have more San Bernardino's or World Trade Centers. I could name 30 others, but I do not have enough time." Mr. Trump continued that he did not want to take the "bad" refugees. "I hate taking these people," Mr. Trump continued. "I guarantee you they are bad. That is why they are in prison right now. They are not going to be wonderful people who go on to work for the local milk people." Throughout the call, Mr. Turnbull assured Mr. Trump the U.S. would have full leverage to vet the "economic refugees," and could allow as few of them into the U.S. as desired. But Mr. Trump wasn't satisfied. "I am going to get killed on this thing," he told Turnbull. "Yes, I will be seen as a weak and ineffective leader in my first week by these people," Mr. Trump continued. "This is a killer." Mr. Trump agreed to stick to the deal, but made it clear he wasn't happy about it. Mr. Trump said his calls with other foreign leaders -- including Russian President Vladimir Putin -- were more pleasant. 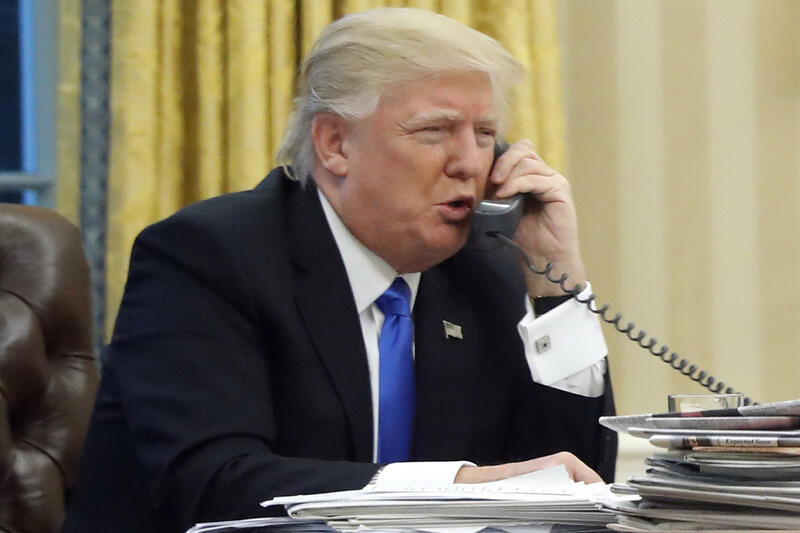 "I have had it," Mr. Trump told Turnbull shortly before ending the call. "I have been making these calls all day and this is the most unpleasant call all day. Putin was a pleasant call. This is ridiculous."